Well, as expected, TFF proved they are a force, a powerhouse of pleasure, serenity for the soul and simultaneously “f*cking” awesome! Reviews from around the music writing world, words from those peeping in via Periscope and tons of praise on Twitter support the posts about this band’s popularity. Roland and Curt are more than well-respected, they are Rock Royalty. 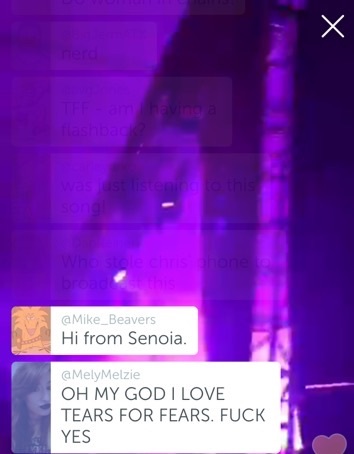 Last night’s show at @Bonnaroo was streamed live thanks to @RedBullTV. Not only did fans attend in person, but also on their way to upcoming shows, crouched in airports or riding to the next destination in their cars. Hundreds tuned-in to hear a fantastic set that included many of the band’s greatest hits. The show was beyond exceptional and the crowd and fan reaction online stood out among the Bonnaroo praise. Roland was even pleased with the crowd. He shared a tweet from his personal account about their enthusiasm. That kind of crowd spirit is what we as travel fans hope for (and try to bring) at every show. Congrats to the band on their success. Wishing all fans very safe travels. We still have a few tickets left for the Tulsa show. 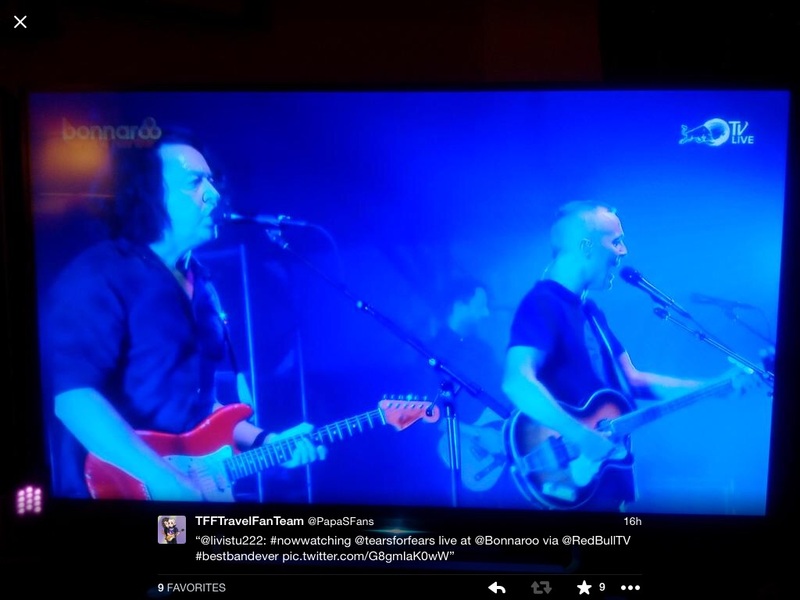 Contact us on Facebook, follow on twitter (@papasfans) and be sure to follow @curtsmith @rolandtff & @tearsforfears. Posted on 13/06/2015 19/08/2015 by International Business and Cultural ExchangePosted in Meet The Fans, Tears For Fears Live Shows, Welcome to the Tears for Fears Fan Travel BlogTagged band travel, Classic Rock, Concerts, Curt Smith, Roland and Curt are Kings, Roland Orzabal. “A powerhouse of pleasure” – How could one say it any better? Hey Lael! Driving to Tulsa from Houston to see TFF. So excited!! After 30 years I finally get to watch them live. Trying to find meet and greet passes but has been unsuccessful. 😦 Any idea where I could get one? I’ve tried searching at the usual ticket sales places.